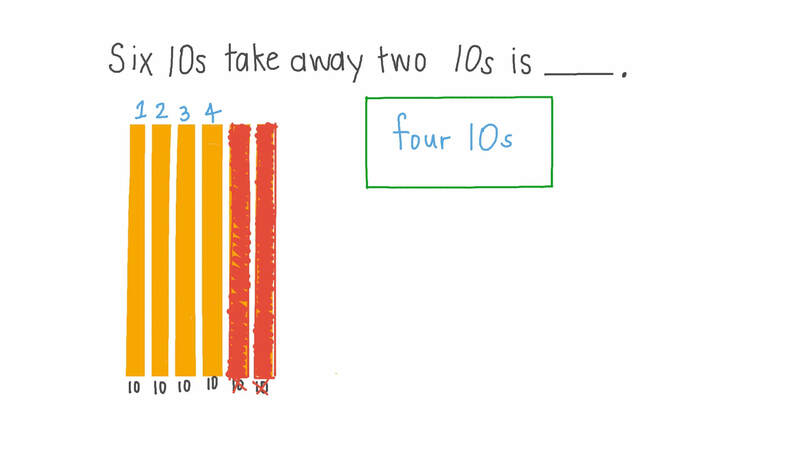 In this lesson, we will learn how to subtract two multiples of ten, using base ten blocks. Six 10s take away two 10s is . Maged is using ten frames to skip count backward by 10. أHe subtracted three tens only. ب He subtracted four tens only. جHe subtracted four ones only. 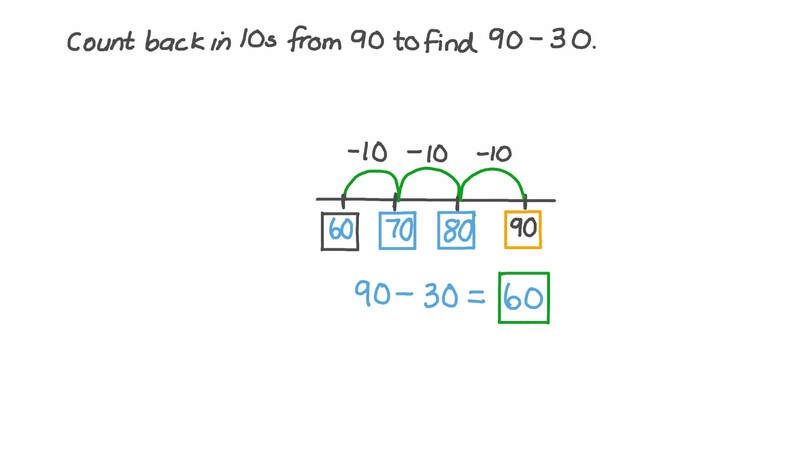 Count back in 10s from 90 to find 9 0 − 3 0 . Find the number that when subtracted from 80 gives 10. Subtract 30 from 50 to finish this part-part-whole picture. Dina found 30 shells at the beach. Yara found 20. How many more did Dina find? Find the difference between 40 and 20. 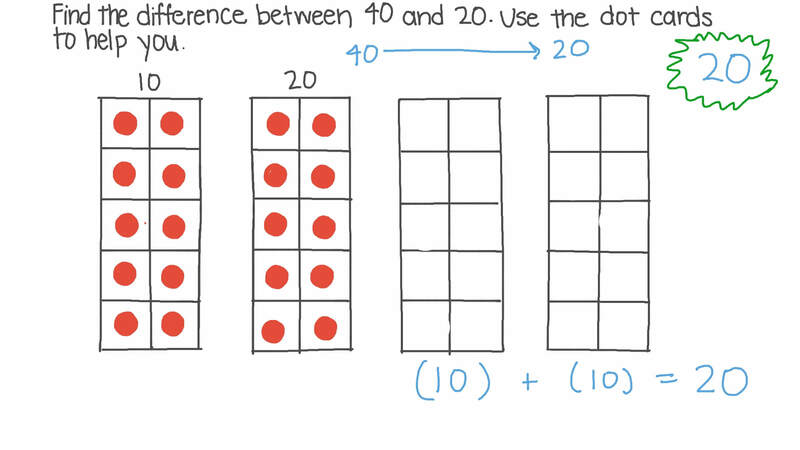 Use the dot cards to help you. Dina and Fady were kicking balls away from the soccer goal. Dina kicked the ball 50 feet away from the goal, while Fady kicked it 20 feet away. They want to know how much farther Dina kicked the ball. What would the correct calculation to solve this problem be? Dina and Fady kicked their balls in the same direction. How much farther did Dina’s ball go? 8 tens take away 3 tens is tens. 8 0 − 3 0 = . Subtract to find the difference. 7 − 5 = . 7 0 − 5 0 = . Nada hit a baseball 90 feet from the batter’s box. Fady hit the baseball 60 feet from the batter’s box. How much farther did Nada’s ball go? 6 − 4 = . 6 0 − 4 0 = .